There are no angles for this one, just pure love and respect. No grievous references to the disappearing New York it may be a striking representative of, neither any sardonic comments about the gentrifying forces that will eventually besiege this neighbourhood. 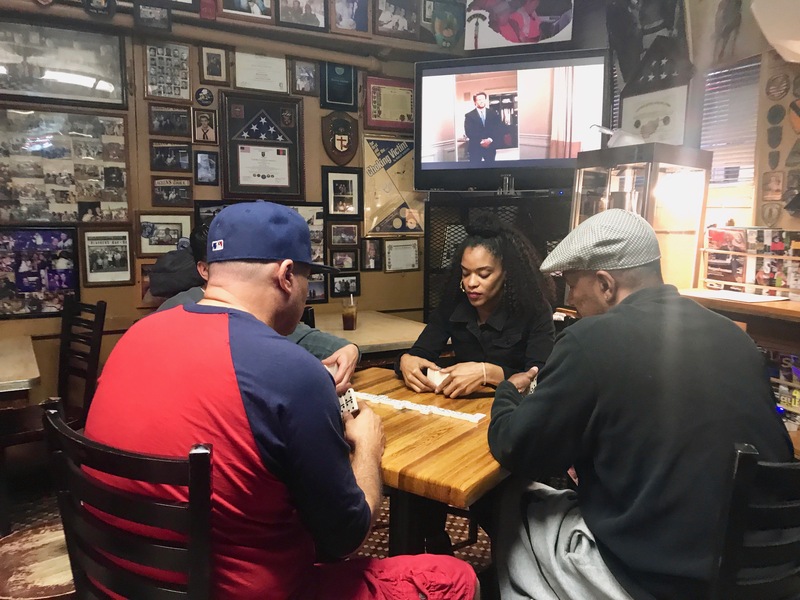 I will neither make any worn-out references to American popular culture - such as this being a true Bronx tale or that I, just as in Tom Wolfe's eighties classic The Bonfire of the Vanities, stumbled in here after taking a fatal wrong turn off the Triborough Bridge. The four elements of hip-hop? I will not pass that boundary. This bar stands on its own, without the need of being culturally contextualised or for that matter diverged into other obscure topics. Imagine the potential of a bar like that, completely independent of the pen of the author and the imaginary tricks he pulls. Today I'm just a witness - nothing more and nothing less - just reminiscing about that day and passing it down the line. Because there is nothing but gratitude. To have been there and to have lived that moment was a decisive day like no other. It was reason enough for crossing the Atlantic, clarity enough for all the doubts that keep hunting me as I get about this whole thing. Stepping foot at Glacken's Bar And Grill was harvest time and me and my friend were there to reap what was ours. A long week of exploring and revisiting bars all over this godsend city and here we were with an apple of gold in one hand and a Vodka Cranberry in the other. Victory has never tasted sweeter and I still can't stop grinning about the way this conquering made me feel. "This is real man, you're really on to something here. This quest for the ultimate bar really matters". These thoughts of mine were warming me up inside as I was obsessively caressing the old jaded bar counter. Like driftwood it had been worn thin by years of spilled liquor and hanging elbows. Since 1940 to be exact, the year when the first Glacken opened up this joint. Then, the southern part of Mott Haven were more Irish than famine, leprechauns and W.B Yeats all together and there wasn't a street in New York City that had more bars than Willis Avenue - just a couple of blocks from here. But with time there is change and nowhere is this more true than in the city of New York. 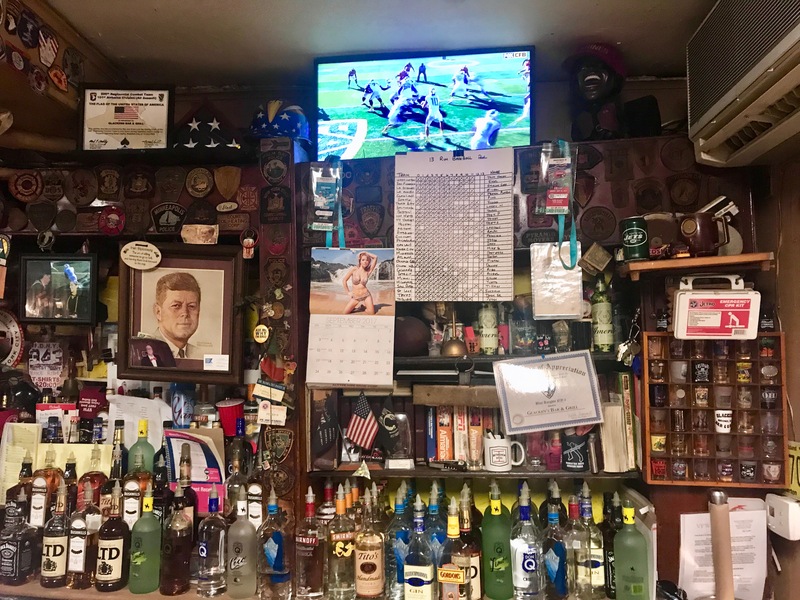 Today Glacken's is the only bar in the area that is still standing from that time and even though Mott Haven has been to hell and back more than once during these years, the flow of Jameson has yet to cease at this bar counter. 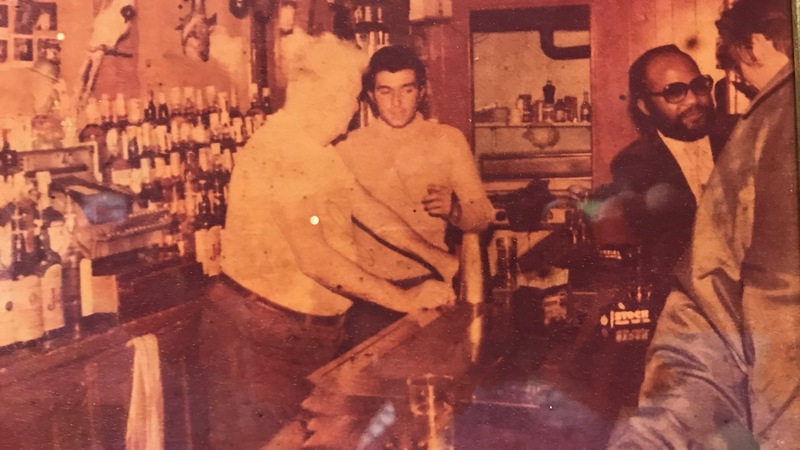 And he has certainly seen it all, the beloved godson of all Irish-Americans, as he is hanging inside the small bar. The old photo of John Fitzgerald knows all about the story of these blocks. The "white flight" to the suburbs and the new immigrant wave of Puerto Ricans who moved in shortly after. The construction of the Patterson high-rises that became one of New York's biggest public housings - a true example of the many inhumane initiatives conducted by New York's "master builder" Robert Moses. And then there is of course the crack epidemics and streets of arson that followed. Jack has seen it all. And so have the Glackens. 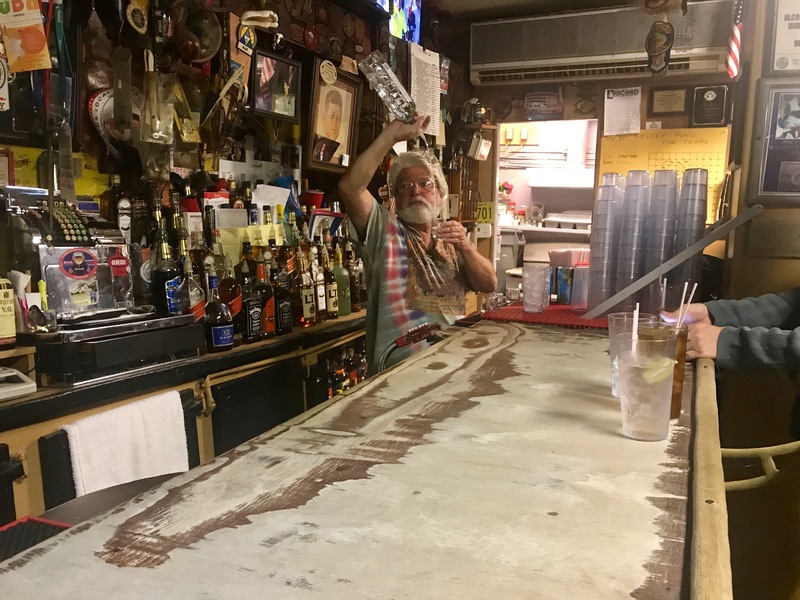 Three generations have made service in here and even though the eighty-five year old Tom Glacken already started helping out his dad at the bar in 1951, he is still around slinging beer and whiskey today. I did not have the opportunity to meet him but I did spend a great time with his son Mike, who was hosting the bar the night we visited. Now this is a character and I mean this in the most admiring way. With a grey beard and a tie-dyed shirt he was something of an Irish Jerry Garcia from The Bronx, only about a loving spirit but still clearly possessing a good portion of instinctive street credibility. I do picture him having a signed Yankees bat beneath the counter, always ready to solve what needs to be solved. He's got a great pour as well, the three-ounce trademark where he is raising the bottle to his ear and pausing for a moment before bringing it down for the top-off. I have later found out that this is tradition in this house, introduced by his namesake and grandfather back in the forties. The drinks do come strong here, there is not much more to it than that. 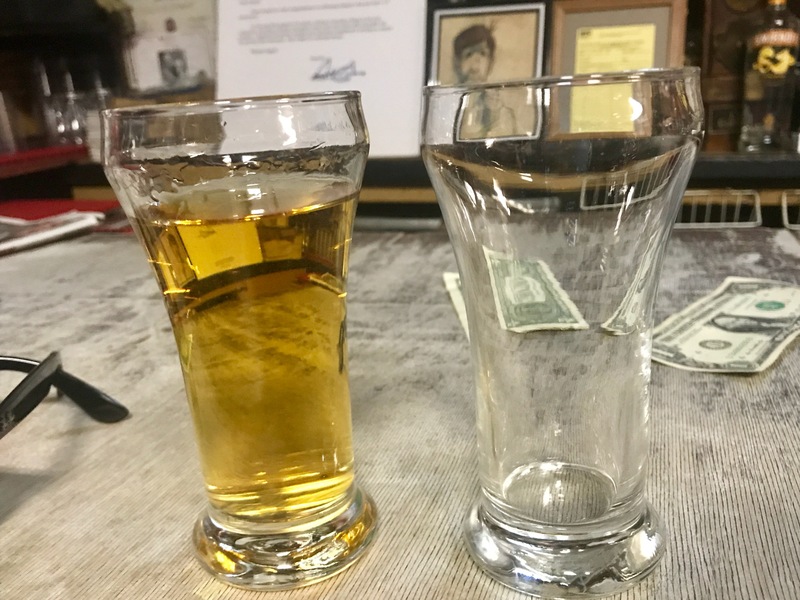 "We want to give a guy a fair drink", the uncle of Tom, Martin Glacken, once stated in an interview a couple of years back. Today he is no longer with us but does, just like his own father and the former president, gaze out from the walls of memorabilia and stays reassured that the working man gets his fair share of happiness. They are walls packed with heroes, either those who spent a lifetime just trying to make ends meet or those who got buried in the towers. 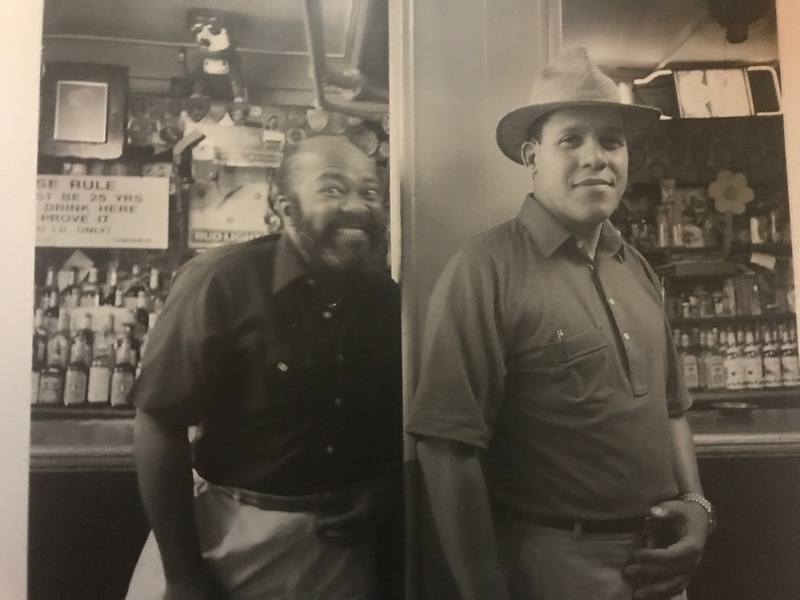 No matter a cop from the 40th precinct or just the random stubborn barfly they have all shared one thing in common - the love for this bar and for the strong drink. And I believe I can include myself to this flock. I am obviously mad about this bar and I did get straight-up hammered on Mike's devious concoctions. A true ciceron, he guided me through the history of this place and introduced me and my friend to some of its most loyal dependants, a hard-knocked but congenial gathering. This day, none - except for Mr Glacken himself - was of Irish descent and as ninety-seven percent of this neighbourhood today comprises of Hispanics and African Americans that may not come as a complete surprise. It is actually the Glackens that are the rare birds up here today, not the other way around. Still they keep hanging on in order to serve the neighbourhood. I find this both genuine and fascinating but probably it is nothing that occupies any of the minds here today - owners or clients. 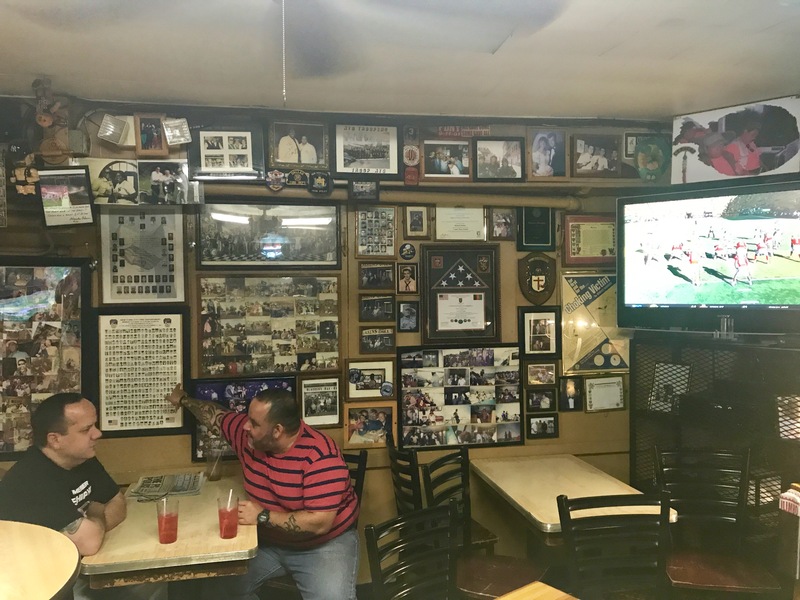 Glacken's Bar And Grill seems to be as much a Puerto Rican legacy as every lucky soul that experiences this joint becomes incurably Irish. I'll second that for sure. Drinks? Big plastic glasses of Vodka Cranberry or Gin and Juice. This is drinking culture going normcore. Fancying a whiskey? Get one of these monsters above. Munch? Free hot dogs on weekends. I'm always on the lookout for more bars to enjoy and write about. Do you know about an interesting place in your city or elsewhere, let me know and maybe I´ll stop by!